award-winning author. musician. cute shoes. Today is release day and I couldn’t be more excited! Drama, karma, and yes, witches are coming your way. Just south of Tupelo, Mississippi on the Natchez Trace lies a place of mystery called Witch Dance. When Thomas and Margaret Speedwell took their twins to Witch Dance for a weekend camping trip, they never imagined they would be pulled into a vortex of witchcraft, tragedy, and karma. One of the girls goes missing; the other won’t say what happened on the other side of the hill. The tragedy pulls together a cast of characters from Margaret’s childhood and beyond – Choctaw and Chickasaw Indians, Toltec ancestors, the extinct Hopewell tribe. With the help of a childhood friend, a concerned newspaper reporter, and visions by a strange old woman, a two-thousand-year-old mystery begins to unfold, uncovering missing children throughout generations. Who is taking them? Could it be the infamous witches of Witch Dance? Click here to check out a snippet. It’s Release Day! It’s Release Day! Today is release day for my new book, I, John Culpepper!! Ahoy, Sailor! I began writing this book in August of last year, but the more I researched, the more interesting stuff I found, so…the book…became FOUR BOOKS. It morphed into the Culpepper Saga, beginning with John’s childhood, segueing into the English Civil War, moving across the ocean to the colony of Virginia, and finally finding inner peace and acceptance. It seems like I’ve been writing the story forever, and when I put it like that, I guess I have been…well, at least 60 years worth of writing. The tale begins in 1606 in England and is the life-story of my 10th great-grandfather, John Culpepper. The Culpepper family has been traced by many genealogists back to the 12th century in England. They were a political family who served the monarchy for generations. Though my favorite Culpepper patriarch has always been John Culpepper of Wigsell, who lived in the 16th century, I ended up writing the book series about his grandson, also named John Culpepper. Maybe someday I’ll go back and tell his grandpa’s story. John was born in Kent, England in 1606 and was surrounded by a cast of interesting family members including his above mentioned grandfather, his brother Thomas who served as a colonel in the king’s army, his uncle Sir Alexander Culpepper who was a knight under King James and King Charles I, and his cousin Lord Culpepper first baron of Thoresway who served under three kings. But none made a bigger impression on John than his overbearing father, Johannes, who was a prominent lawyer in London. His father insisted John attend law school, but John wanted instead to command a mighty ship. This dream strained their relationship, and his father threatened to disown him when it came time to purchase a ship. Instead of receiving daddy’s help, John got funding from his older brother, Thomas, and records show the name of the ship being the Thomas and John. Records also show John in the colony of Virginia upon the occasion of his father’s death. 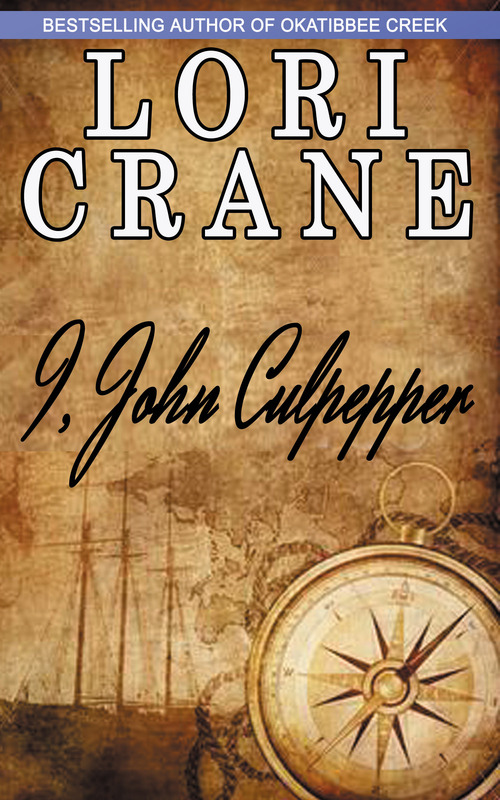 The first book in the Culpepper Saga, I, John Culpepper, is the story of John’s childhood, his strained relationship with his father, meeting the lovely woman who would eventually become his wife, and starting his career as a ship merchant. In the three sequels, we will find John’s ship becoming a lifeboat that keeps the family from certain execution during the English Civil War, and John’s unwanted law-school education becoming the only thing standing between life and death for his youngest son. In retrospect, maybe John’s father wasn’t the bad guy John always thought him to be. Everything happens for a reason, especially for John Culpepper. I, John Culpepper is available at Amazon. For photos and paintings of the people and places in the series, visit the Culpepper Saga Facebook page.